Tripletail may look like an oversized freshwater panfish, but it’s a true saltwater classic with a verve and excitement to match the best game fish in our waters. 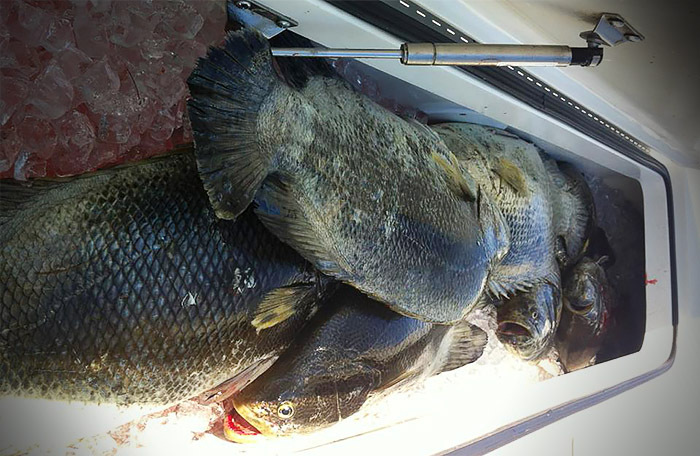 At MGFC, we fish for Tripletail in the summer months, all the way through late Summer, and Fall. They feed in daylight, and due to their dark spots and unique appearance, it’s best to fish them in bright daylight to help with identification. It is a surface or near-surface fish, very often found near floating debris or seaweed, pilings, and buoys. 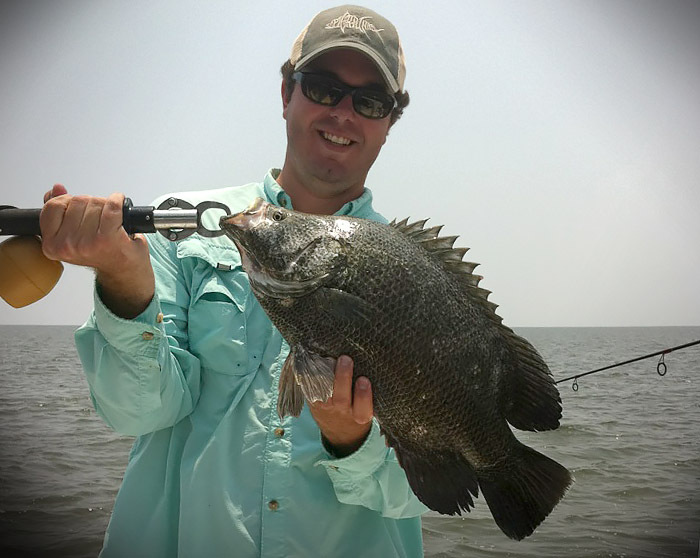 Tripletail are passive fish and ambush predators often found floating on their sides near pods of seaweed, pilings, buoys and other floating objects. When prey is sighted they move with a fast lurch to strike it. When they take a hook, they give a good run, and are known as dogged fighters. Tripletail appears to be a migratory species, which virtually disappears from the northern Gulf of Mexico between November and March. While they are not rare, it doesn’t ever seem as if they are abundant anywhere. 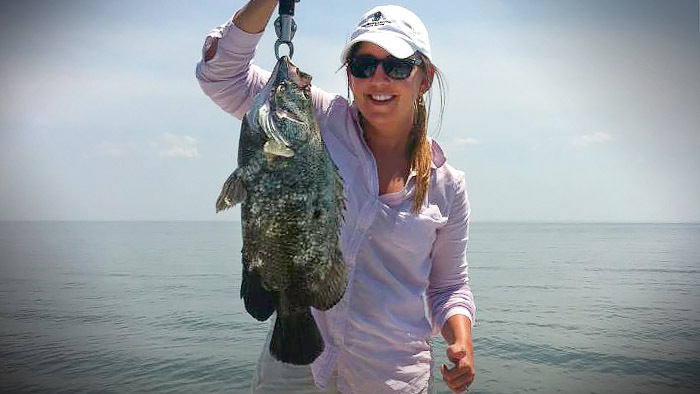 For this reason, we don’t recommend bookings for strictly a tripletail charter, but when combined on a day fishing for other species, this interesting game fish adds some excitement to the mix, and can add plenty of tasty morsels to your ice chests. Book a trip with MGFC now! Whether you’ve experienced a charter trip going for Triple Tail , or if this is your first time, give us a call. Let’s catch some Triple Tail with MGFC! Everyone at the dinner table will be glad you booked a trip with MGFC.